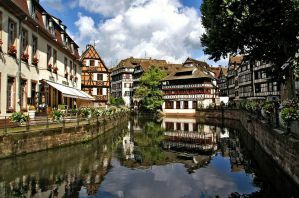 Strasbourg is the perfect combination of French and German cultures and styles with a medieval past and a progressive future. It has something to offer everyone from fabulous Christmas markets and gingerbread to the twisting alleys of the old town to the town's medieval half-timbered houses, its scenic canals and soaring Cathedrale de Notre Dame, Strasbourg will charm even the most stoic traveler. Strasbourg is big enough to have lots of shops and restaurants to explore, while being small enough to maintain a welcoming village vibe. There are plenty of opportunities to pick up some mementos of your time in this unique city. Strasbourg overflows with shops peddling cheeses, stork-shaped souvenirs of all sorts, textiles and cookware, and French fashions. It is home to France's second largest student population, which keeps the nightlife exciting and lively. In a place so full of exciting things to do and explore, it is important to have a good base to start from, and even better if that base is budget friendly. Here are a few options in the Strasbourg area that offer inexpensive and convenient accommodations for your time in the spectacular, cross-cultured city. 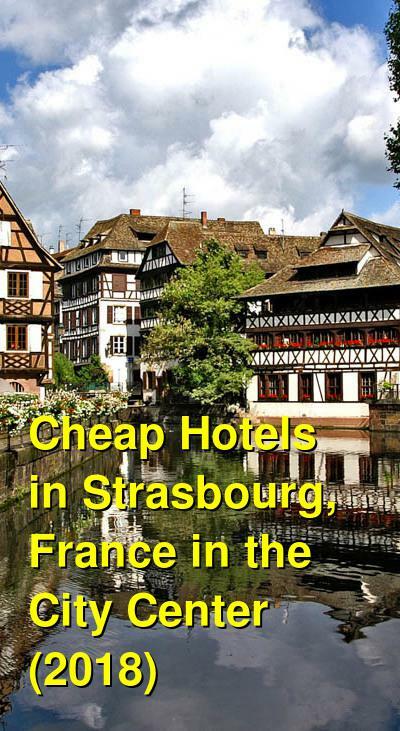 How much do hostels in Strasbourg cost? The Hotel Graffalgar offers a very original decor as each room is uniquely decorated by local artists. Each room has a flat screen TV and private bathroom with a walk-in shower and hair dryer. The hotel is in a great area, located near the train station, Christmas Market, Museum of Modern and Contemporary Art, and the Council of Europe. There are also several options nearby for shopping, dining, and drinking. The hotel does offer a breakfast option for an additional fee, and if you're driving, there is a car park available for an extra fee as well. The hotel also offers bicycle rental if you would like to explore the area that way. The hotel is clean and the staff is warm and friendly. Many people like the location as it is in a quiet area but near enough the city center that you can walk there in a short time. The Cap Europe hotel offers a variety of room types from standard hotel rooms to apartments, housing from one to five people. It is also in a great location, only five minutes from the Congress Center and right between the European institutions and the historic center. The facility is in easy access of public transportation and also has parking available. Many rooms are equipped with a private bathroom and mini fridge. The staff are friendly and helpful and the rooms are clean. Most people enjoy the location, as it is very close to the city center. The Hotel Le Grillon is another excellent option very near the town center and public transportation. The hotel is located in a semi-pedestrian area of the city, making it very convenient for those looking to explore by foot. They have 71 charming rooms in modern decor and they pride themselves on their warmth and welcoming hospitality. The rooms are comfortable, soundproof, and air conditioned. Each room also includes a satellite TV and there is an optional buffet breakfast available to guests for an additional fee. The facility is friendly to those with mobility limitations and offers an elevator, summer terrace, bicycle rental, and parking available. The facility also offers a twenty four hour reception and the rooms are very clean. The Ciarus hostel is in an excellent location, right in the center of the city, and it is near all of the major sights and attractions in Strasbourg. Ciarus is open year round and is only a five minute walk from the nearest Christmas market. With 101 rooms, it has plenty of space available, and even has some rooms designed specifically for those with limited mobility. There is a steam room here and the staff are friendly and welcoming. Reception times depend upon the season, so you should contact the hostel ahead of time to check on their reception times during the time of your arrival. Bed linens and towels are included at this hostel and they also offer other services like tour and travel assistance, fax services, currency exchange, and postal services. The rooms are all very clean and have a modern decor, which, along with the location, are some of travelers favorite features of the Ciarus.